Thousands of dogs, regardless of their behaviour, have been unnecessarily killed as a result of misguided UK legislation introduced in 1991. Although this sad state of affairs has been known of by campaigners for many years, only now have MPs recognised the issue in a recent statement on the Breed Specific Legislation, which aims to protect the public from dangerous dogs. After consulting dog behaviour experts, the Environment, Food and Rural Affairs (EFRA) Committee deemed the legislation as “unnecessarily cruel” and ineffective and proposed a series of changes. The Breed Specific Legislation is a part of The Dangerous Dogs Act 1991, which bans “dangerous breeds and their types”. The “dangerous breeds” (pit bull terriers, Japanese Tosa, Dogo Argentino and Fila Brasileiro) were selected because they are thought to be more likely to attack than other breeds. As a result, hundreds of dogs are euthanised each year, regardless of their behaviour. The exact figures are not collected, but Battersea Dogs and Cats Home alone reported having to put to sleep 91 dogs recognised as pit bulls in just one year, 71% of them were thought to have been easy to rehome if it hadn’t been for their breed. The UK Kennel Club doesn’t recognise pit bulls as a breed – therefore no breed standard which could be used to identify these dogs exists. Dogs are identified as pit bulls or pit bull types when they meet a substantial number of 15 physical features of a pit bull description copied from a 1977 issue of the American periodical Pit Bull Gazette. Lack of clear breed standards could be why many dog professionals and the public struggle to identify pit bulls. This raises concerns that some of the dogs that have been seized, euthanised, reported to the authorities or included in the hospital statistics as pit bulls were wrongly classified. Many studies have indicated that the policy isn’t effective. For one thing, the legislated breeds don’t bite more often or more severely than other dogs. And in England, between 2005-2015, the number of hospital admissions due to dog bites increased by 76%. The continuous increase in a number of dog bites suggests that banning a handful of breeds has not helped to improve public safety. The controversy around the legislation goes further. Kenneth Baker, who was the Home Secretary when the legislation was developed, said that pit bulls were on the list because their owners came across as dangerous and irresponsible. Other breeds that were considered, such as German Shepherds, were not included as Baker feared the critique of rural conservative communities who were perceived as the main demographic owning these dogs. 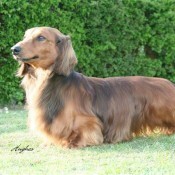 Perception of breeds played a crucial role in the development of the legislation from the start. Our behaviour around dogs – including things we do to prevent bites – is shaped by our perceptions and subjective understanding of dogs. In order to try to understand how people perceive dogs, risk around dogs and who they blame for a bite, myself and colleagues have analysed hundreds of comments under 10 different YouTube videos of dog bites. Pit bulls – all of them – are notoriously vicious and hateful. I’m real tired of the owner/breed theory. They attack people until they are mauled, and are proud of what they’ve accomplished. Other dogs are perceived as good-natured but “wild” animals that can’t control themselves and therefore cannot be responsible for their actions. Victims (or their parents) and dog owners are usually blamed instead. Our research indicates that people think that dogs (other than pit bulls) are safer when trained and socialised and the blame the owner for bites when they think the dog wasn’t trained well enough. They also blame victims for not knowing how to read a dog’s body language and when they think that a victim’s movement provoked the dog. MPs in the UK have proposed that the alternative approach to bite prevention should focus on education about dog behaviour as well as consistent and robust sanctions for the offenders and early intervention – such as compulsory training for minor dog offences. There should also be research into breed behaviour and aggression, which could provide solid foundations for a new policy. Under the Breed Specific Legislation, prohibited breeds are not allowed to be re-homed. But the committee recommended that shelters should be able to re-home all dogs, of whatever breed, assessed as safe with an immediate effect. Our study suggests that a new approach to bite prevention could also include public campaigns aimed at shifting common perceptions of dogs and dog bites. For example, a public campaign should emphasise that any dog can bite. Thinking of bites as a behaviour typical for just some breeds could make dog owners complicit and, for example, less likely to supervise their children around dog perceived as “good with children”, such as Labradors. Finally, we identified multiple and often conflicting views regarding bites. Some viewers saw bites as “normal” and inevitable. This view could make it harder to prevent bites as dog owners may be unaware that dog behaviour can be changed. At the same time, others saw bites as completely preventable. This, in turn, could lead to stigmatising dog owners and bite victims and discourage them from seeking help or reporting bites. Public health campaigns are most effective when they are tailored to the audience and address their specific views – and new approaches to bite prevention should reflect this.